With over ten years experience using Tongkat Ali root extracts, and lots of customer feedback, Tongkat Fitness is widely regarded as the leading authority when it comes to Tongkat Ali products, usage, and advice. We have designed the Tongkat Fitness website to be a useful resource packed with honest and helpful information that will help you get the most from your Tongkat Ali. At Tongkat Fitness we annually test the market leading Tongkat Ali root extracts available online and in-store, to make sure that we bring you the very best product we can. 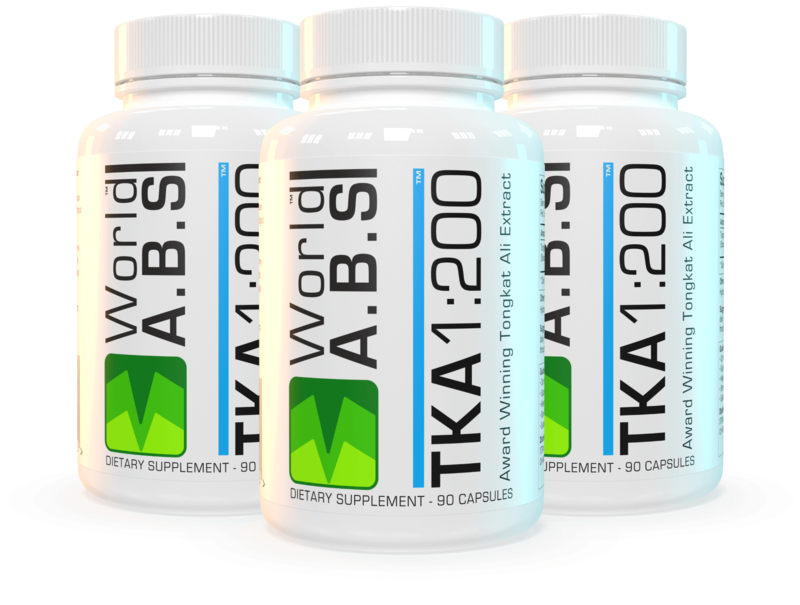 To date, we have found TKA 1:200 from World A.B.S to be leagues ahead in both strength and consistency, because of this, we are proud to offer you TKA 1:200 Standardized Tongkat Ali root extract available directly from Tongkat Fitness. If you are new to Tongkat Ali root extracts, you will find our dedicated What Is Tongkat Ali page handy, helping new users to learn about the world's best all natural testosterone booster. Whether you are using Tongkat Ali for bodybuilding or health reasons, our Tongkat Ali Dosage page will help you make the most of your Tongkat Ali extract. Have you come across contradicting information about Tongkat Ali? There are many ill-informed websites with misleading information. Learn the facts about Tongkat Ali.